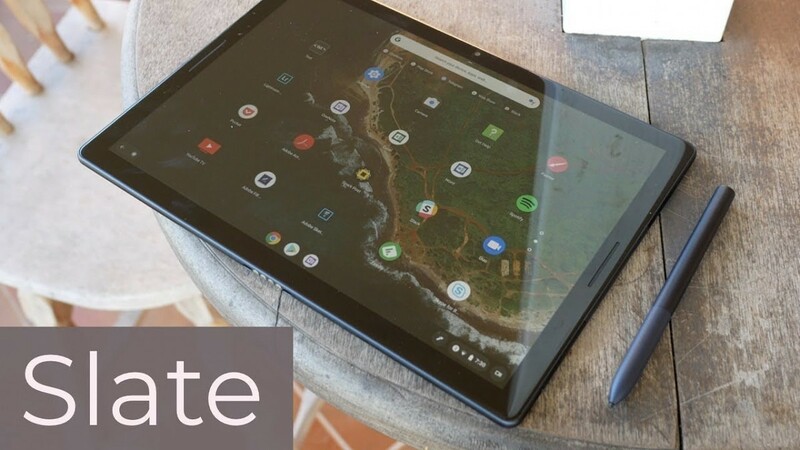 Google was the third manufacturer to introduce the tablet form factor to Chrome OS in the form of the Pixel Slate. Google’s answer to Microsoft’s Surface PC features a top-mounted power button that doubles as a fingerprint reader, dual front-facing speakers, and a 3000×2000 “molecular” display. “Molecular” is Google’s fancy marketing buzzword for a low-temperature polysilicon/LTPS display that facilitates better power efficiency and higher display resolutions. Our friends at PocketNow have spent some quality time with Google’s hottest new Chrome OS device and you can see their review of the Pixel Slate in the video below. The takeaway: the Pixel Slate certainly brings the specs for the higher-end models (the model tested in the video is powered by an 8th-generation Intel Core i5, 8GB RAM, and 128GB non-expandable storage), and the display is gorgeous while the audio is acceptable. However, they mentioned some serious caveats, including inconsistent performance between various Android apps, the price and Google’s first-party keyboard folio. One inconsistency they mentioned was the lack of universally-recognized keyboard shortcuts among various Android apps that didn’t bother to include support for physical keyboards. Also, dragging Android app windows around the screen was stuttery when multiple windows were being used (and this was on the second-to-top model with the Core i5). Furthermore, by the time one has paid for the sold-separately keyboard and stylus on top of the $999 for the Core i5 model, the latest Surface Pro model starts to look like the better value. They recommend a third-party keyboard, mentioning the one by Brydge (who by the way provided an early look at the Pixel Slate prior to its release). The reason is simple: Google’s keyboard folio does not attach as rigidly to the tablet as, say, Microsoft’s does to its Surface Pro 4. It makes using the Pixel Slate as a laptop rather awkward unless placed on a hard, flat surface. You can compare the specs and prices for the various Pixel Slate models below.